Nobody likes to have the rug pulled out from under them. A lot of build-up and even bigger disappointment is never really the best-case scenario. 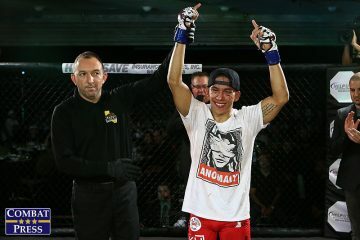 Vince “The Anomaly” Cachero has had a relatively meteoric rise in MMA in a short period of time. 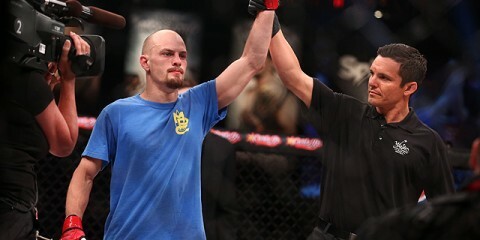 He turned pro only two years ago after going 4-1 as an amateur, but he has already racked up a 6-0 record and put himself in position as a legitimate Legacy Fighting Alliance title contender. 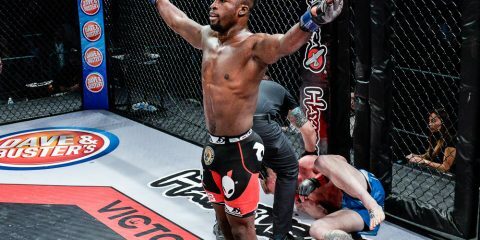 In November, Cachero faced a more experienced Joe Murphy on the main card of LFA 54. Cachero was expecting a finish, but instead put on a dominant performance that prompted the judges to rule in his favor. 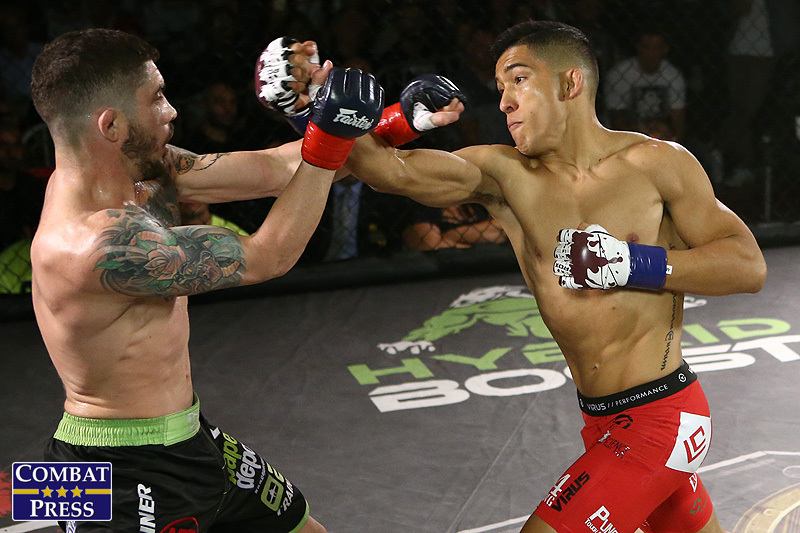 “I had Joe ready to go in the second round, and he came back hard in the third,” Cachero told Combat Press. “It was just keeping him in my rhythm and keeping that going strong in the third round, and I think I would have been able to finish him. But, you know, some slight adjustments here and there. Joe was backing off more than I thought he would, and he was just trying to counter a bunch. So, it made it a little more physical for me to get in my rhythm the whole time. The win was Cachero’s third in a row with the promotion. 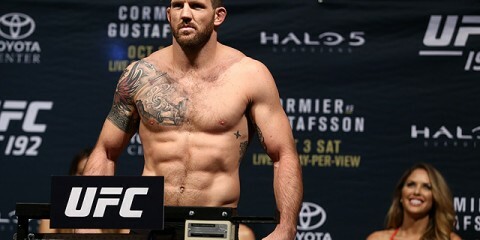 It was enough to earn him a bantamweight title shot against incumbent champ Miles Johns. The fight was announced in February, but Johns later pulled out of the fight. This led to an interim title contest between Cachero and current LFA interim flyweight champ Casey Kenney. 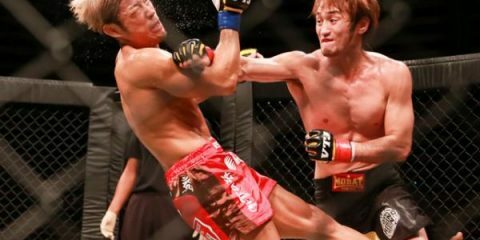 They clash on Friday night in the headliner of LFA 62 at The Bomb Factory in Dallas. 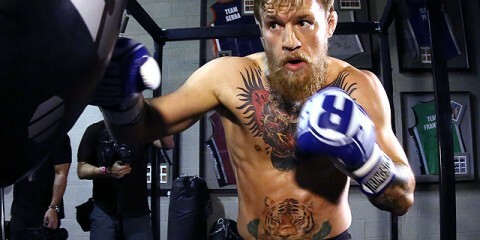 The Hawaiian-born California resident is known for wanting to take tough fights, and he would love a chance to fight the best guy in his division. The champ may be out, but Kenney, another champ, is the next best thing. 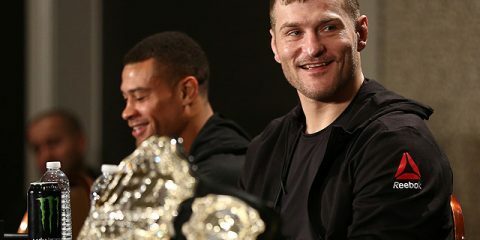 With Johns out, a lesser man might walk around with the interim belt as if he were the undisputed champ. Fans have seen way too much of that recently, especially in the UFC. However, Cachero is a level-headed fighter who wants to earn the title in a truly undisputed manner. He will be happy to take the belt on Friday and unify it later. Cachero has plans to get married after the fight, take a honeymoon trip to Barcelona and then come back to a fight announcement. He has business to attend to first, though. Kenney has, indeed, fought on the Contender Series twice. One was a win and the other a loss. However, that was his only pro loss, and it was a split decision. Kenney has never been finished. His 10 wins have been evenly split between stoppages and decisions. Even though he has been fighting at 125 pounds, he will actually have a very slight height and reach advantage over Cachero. Yet, this actually builds on Cachero’s motivation. Cachero’s train just keeps on rolling with no plans to slow down. He was confident he was going to beat Johns, and he’s confident he will beat Kenney. The rug got yanked, but immediately replaced with arguably a better rug. It’s tough to bet against a guy who has no blemishes on his record. On Friday night, on a card that airs live on AXS TV, fans are in for a great main event.